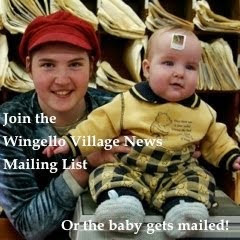 Wingello Village News for February 2014 is out. However, there it sat untouched, undamaged, unmoved. From before the first train left each day and after the last train arrived it never moved. We have many witnesses who have sen the bike in that same spot at all hours. 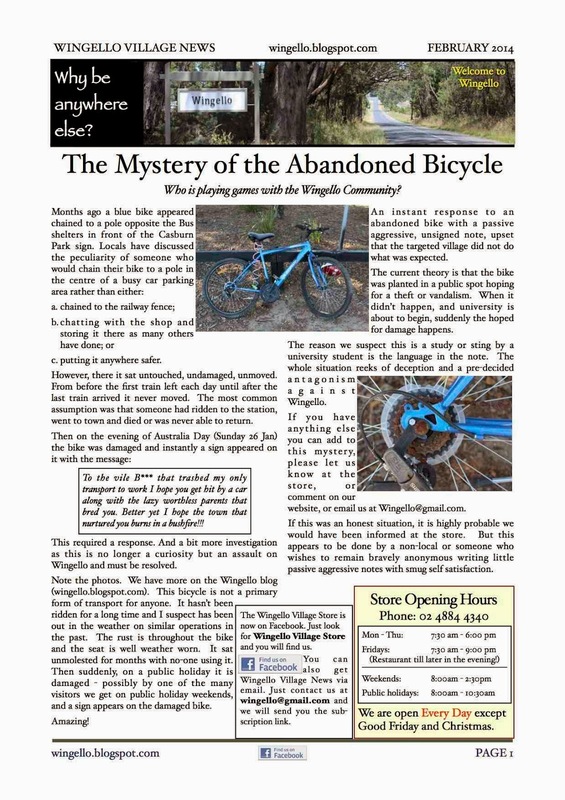 The most common assumption was that someone had ridden to the station, went to town and died or was never able to return. The message when the trap was sprung. To the vile B*** that trashed my only transport to work I hope you get hit by a car along with the lazy worthless parents that bred you. 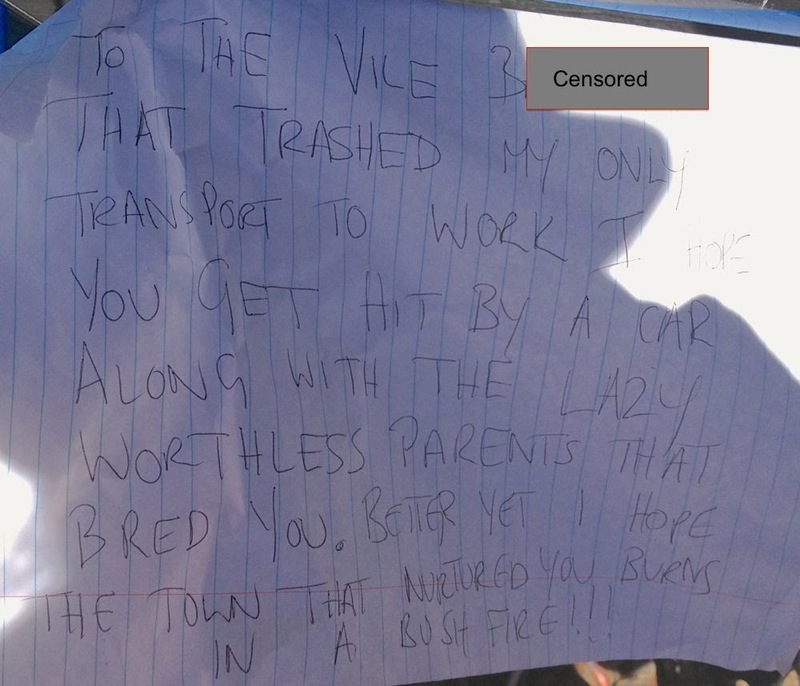 Better yet I hope the town that nurtured you burns in a bushfire!!! This required a response. And a bit more investigation as this is no longer a curiosity but an assault on Wingello which must be resolved. So I had a closer look at this sole form of transport to verify the claims in the note. 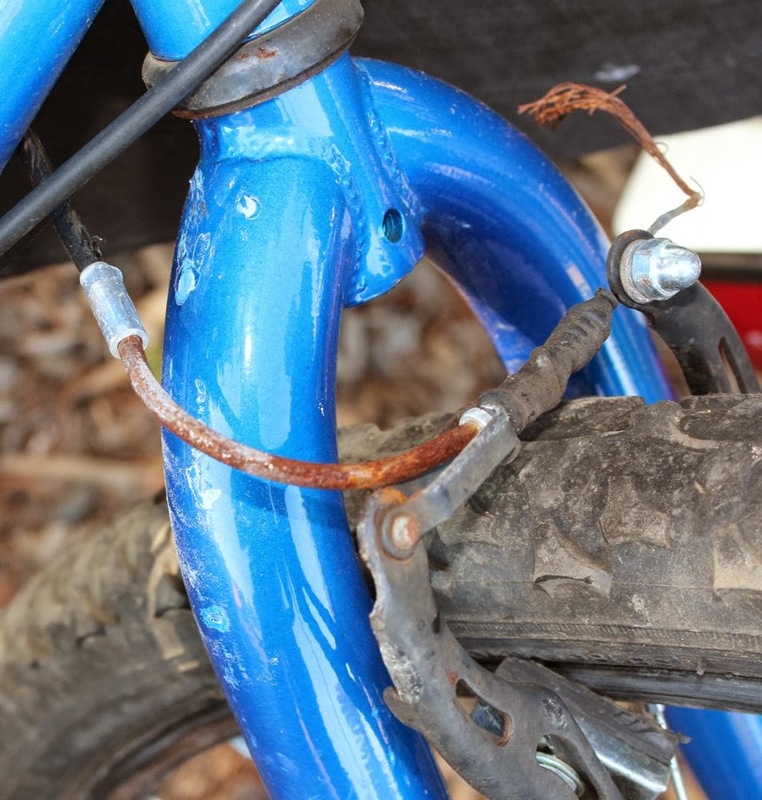 A well rusted back wheel and chain. All exposed metal was rusted. 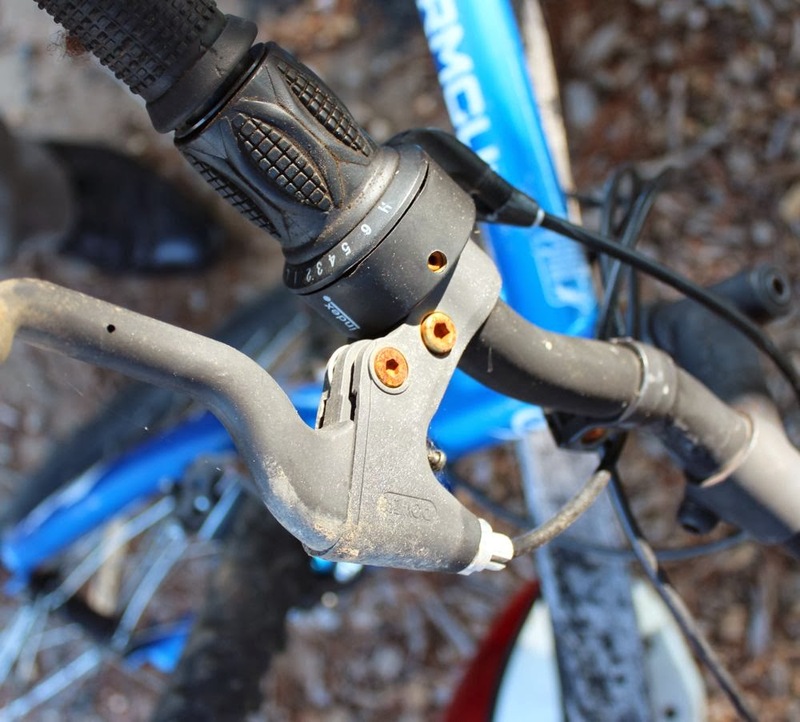 This is the front brake. 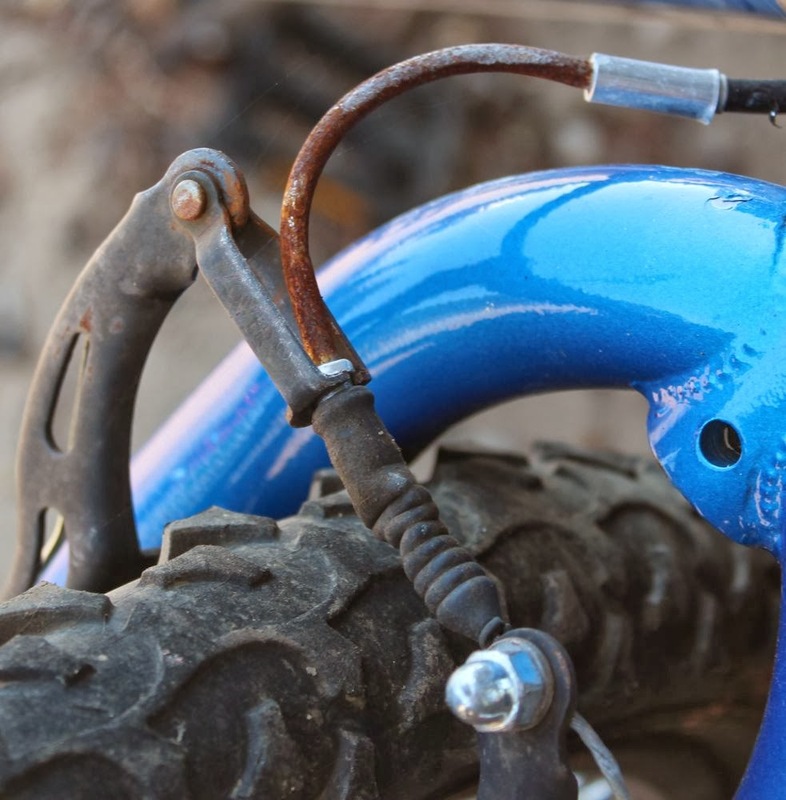 This is the handle of the brake. All rivets well rusted. 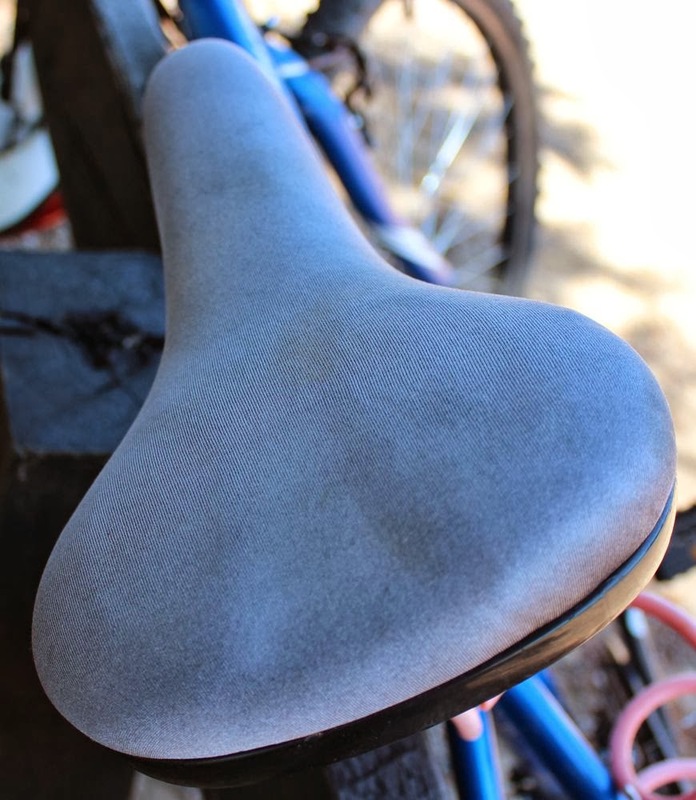 A very weather worn seat. We do not believe this bicycle is a primary form of transport for anyone. It hasn’t been ridden for a long time and I suspect has been out in the weather on similar operations in the past. 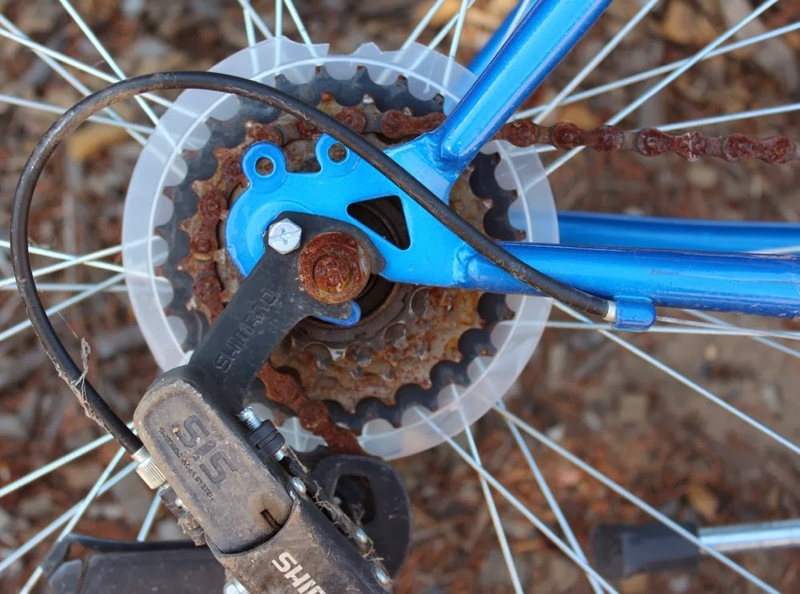 The rust is throughout the bike and the seat is well weather-worn. It sat unmolested for months with no-one using it. Then suddenly, on a public holiday it is damaged - possibly by one of the many visitors we get on public holiday weekends, or by the perpetrators of this operation, and a sign appears on the damaged bike. Amazing! Instant response to an abandoned bike. With damage caused on a quiet time on a public holiday weekend. We believe this is a passive aggressive, unsigned note, by a writer upset that the targeted village did not do what was expected. 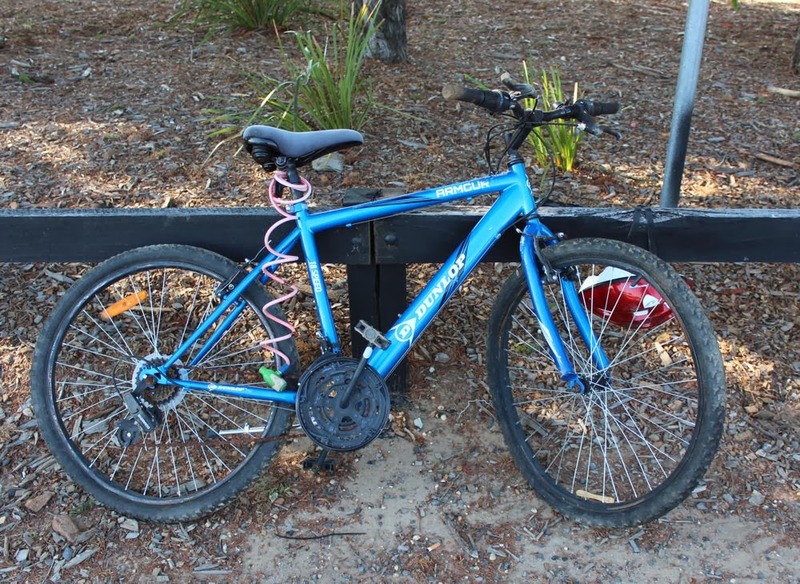 The current theory is that the bike was planted in a public spot hoping for a theft or vandalism. When it didn’t happen, and university is about to begin, suddenly the hoped for damage happens. The reason we suspect this is a study or sting by a university student is the language in the note. Why do I mention University? Who uses the word "nurtured" in normal language? Also, the timing of the start of the University semester is interesting. The whole situation reeks of deception and a pre-decided antagonism against Wingello. If you have anything else you can add to this mystery, please let us know at the store, or comment on this post or the Facebook page. If this was an honest situation, it is highly probable we would have been informed at the store. But this appears to be done by a non-local or someone who wishes to remain bravely anonymous writing little passive aggressive notes with smug self satisfaction.